A proposal to increase the city's minimum wage to $15 an hour squeaked past a preliminary vote Monday. But will it have enough votes for final passage? Fraser Smith and Kenneth Burns, of the WYPR reporting team, assess the chances. 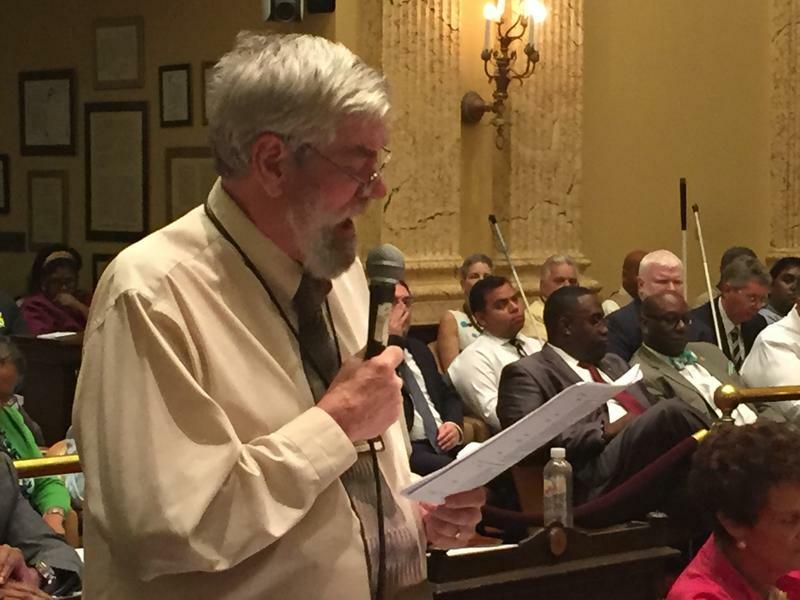 WYPR's Kenneth Burns joined Nathan Sterner to discuss the Baltimore City Council vote. Baltimore City is one step closer to raising its minimum wage to $15 an hour. But it’s not clear if there will be enough votes next week to make it final. City Councilwoman Mary Pat Clarke’s proposal squeaked by in a preliminary vote Monday. But that vote, 7-4 with three abstentions, was one short of the number needed for final passage.